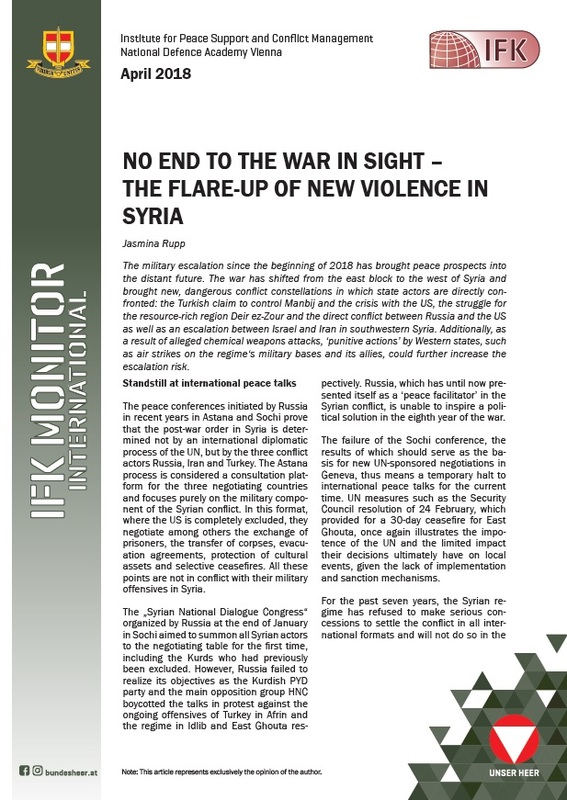 The military escalation since the beginning of 2018 has brought peace prospects into the distant future. The war has shifted from the east block to the west of Syria and brought new, dangerous conflict constellations in which state actors are directly confronted: the Turkish claim to control Manbij and the crisis with the US, the struggle for the resource-rich region Deir ez-Zour and the direct conflict between Russia and the US as well as an escalation between Israel and Iran in southwestern Syria. Additionally, as a result of alleged chemical weapons attacks, ‘punitive actions’ by Western states, such as air strikes on the regime‘s military bases and its allies, could further increase the escalation risk.